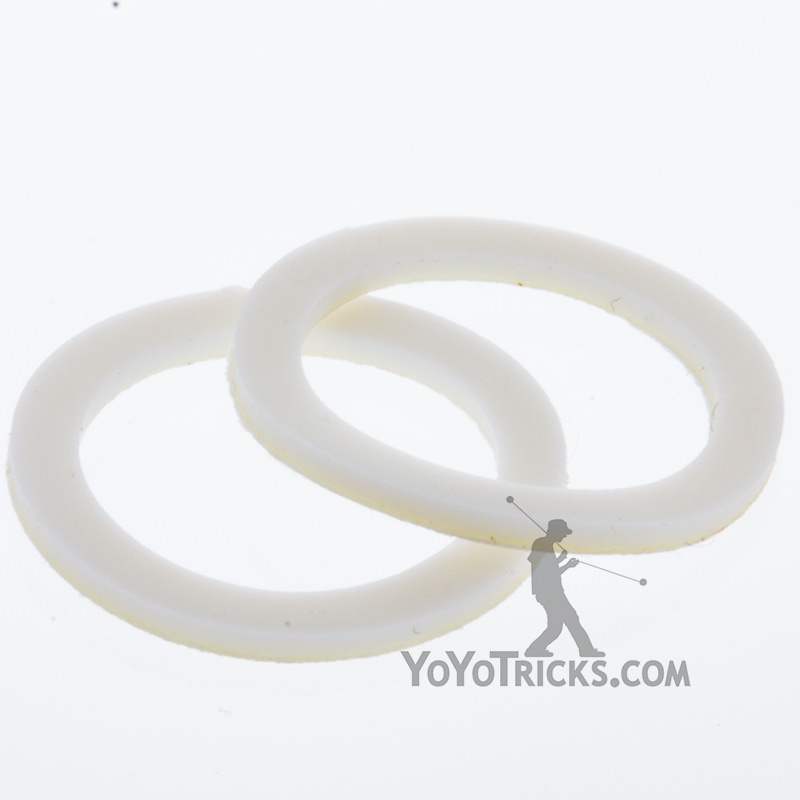 Learn how and when to replace the response pads in your yoyo. 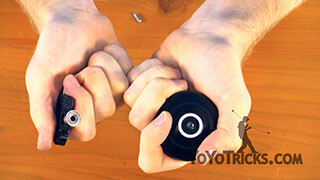 How to Replace Yoyo Response Pads Yoyo TrickIn this video we are going to talk about response pads. Response pads are these little o-rings that go on the inside of a lot of yoyos today. What they are for is they help the yoyo come back up when you want it to come back up. So as you can see response pads they can be different sizes, they can also be different colors. 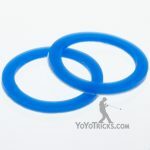 So on our website, what we do is on every yoyo page, we have got a recommended section and we tell you what size response pad goes in the yoyos. We also tell you specifically what response pad we think works best in any particular model. What they are for is they help the yoyo come back to your hand. When you pull up a responsive yoyo, the string kind of grabs on to those response pads. It helps it wind back up. On an unresponsive yoyo, the same thing happens when you execute a bind. In this video, we are going to talk about two things. We are going to talk about first, when do you need to change you response pads. Second, we are going to talk about how to change them. So the most obvious thing is when you need to change them, if you response pads have fallen out of the yoyo, that means the adhesive that attaches them to the yoyo has worn out and they are not going to be able to go back in so of course you are going to want to change them at that point. Now, sometimes this can happen if you get a little bit of lube on the yoyo or on the response pad. That can actually respond with the material of the response pad in a weird way that causes it to expand and kind of pop out. So you want to make sure if you ever lube your bearing you want to take it out of the yoyo first. Sometimes just over time, the adhesive can wear off and they will come out. So you will need to replace them then. But a lot of times, you are going to have to decide to change you response pad before it comes out. The main reason why you would even think about it is if the yoyo just is no coming back to your hand as quickly or as efficiently as you want it to. So with a responsive yoyo, there can actually be a couple of reasons why this happens. It is not always going to be because of the response pads. 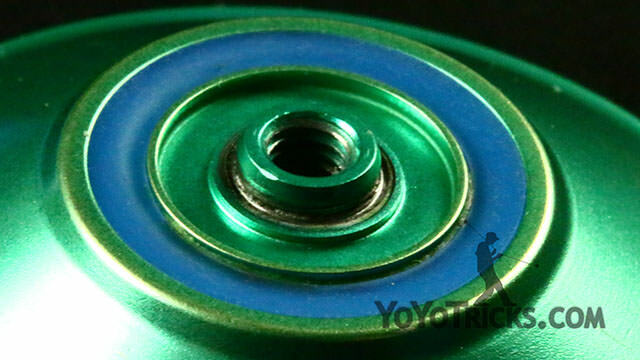 So before you go ahead and change them, the first thing that you should probably do if your yoyo is not responding as well as you like, is you should lube the bearing with thick yoyo lube. In almost every case, that will solve the problem. Another thing that you can try is you can try replacing the string. Especially if you have got an older string, they tend to get thinner over time. So yoyos are not going to response quite as well. So if you change the string, a lot of times that will solve the problem. On an unresponsive yoyo, especially if you get a new one, you may find that the yoyo is not responding as well as you like. Maybe the binds are a little bit slippy. Another thing that you could try is you could try a thicker string. Thicker strings tend to respond a little bit easier in both kinds of yoyos so that is another thing you can try. 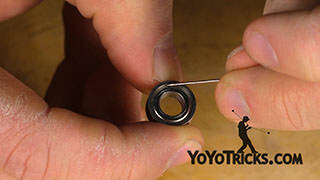 But, if you have had your yoyo for a little while, then you may find that it is indeed time to change the response pad. So one real easy way to tell is if you open the yoyo up and you look at the response pad on a well used yoyo, what you will find is that the outer edge is typically flush with the yoyo, but the inner edge, if you look at it, it is actually kind of drawn in a little bit. It has been worn away so that it is no longer flush with that inner edge of the yoyo. So if that is happening a lot and you are finding that your binds are a little bit slippy or the yoyo is not responding the way you like, then it is a good time to change it. The first thing you will want to do is you are going to want to get this response pad out. So what a lot of people do is they just use the hex key of their multitool. You can kind of push into it and get that response pad out. You can also just use your fingernail and typically it is not too hard to just pry it away. You can also use a toothpick or something like that. That should work just fine. Now, as you are peeling the old response pad out, what you are going to find is there is a lot of adhesive that is left over from that response pad. Sometimes it will even peel away almost like it is a little piece of paper. So you can just kind of peel that out. If it breaks off like that, then you can use your toothpick or if you have your multitool you can use that to kind of scrape it free a little bit. You can see that the rest of that is just starting to peel out. Hopefully you can get that out clean. You want to get that out as much as you can so that when you put in the new response pad, it will lay flush and even with the yoyo. So if you have got some extra residue here, you can always take a paper towel and kind of get that out as much as possible. Just be aggressive with it. You can see that that comes out. So, I have gotten it all cleaned out here. One thing that you can also try if you have got a metal yoyo, if you are having a hard time getting the adhesive out, you can use a little bit of rubbing alcohol and maybe a Q-Tip or something and rub that in there. That will help break it down a little bit. Do not do that on plastic yoyos, but on metal it should not be a problem. Just make sure it is all dried out before you put in a new response pad. Response pads a pretty easy to put in. All you are going to do, like I said, they are just like a sticker so you are just going to peel the back off and that reveals the adhesive. Then you just need to fit it in place. Usually, the response pad area is large enough that it is not too hard to get it in there. You can just press it down. That is pretty much it. Typically, when you replace one you will want to replace the other one as well. That is why response pads come in pairs. But those are response pads for your yoyos.